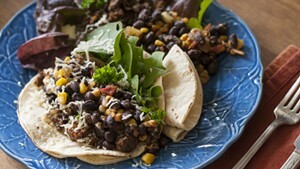 While tortillas are essential to Latin American cooking, the spicy meats, savory sauces and colorful garnishes often upstage them. "People think a tortilla is all about the stuff you put into it," says Vermont Tortilla co-owner April Moulaert. "But I would strongly disagree." 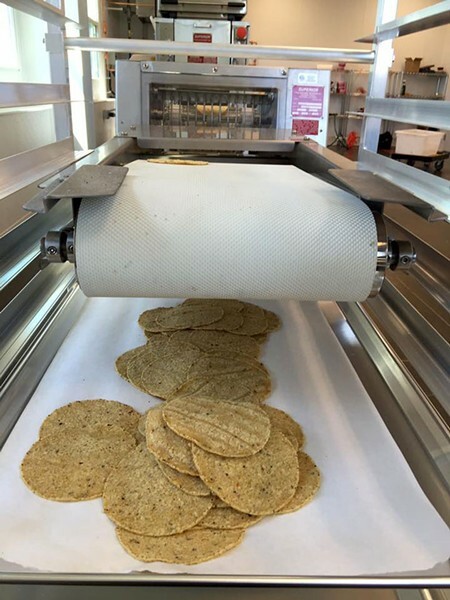 Based in Shelburne's Vermont Artisan Village, Moulaert and her husband, Costa Rica native Azur, delivered their first batch of organic corn tortillas earlier this week to Healthy Living Market & Café, Shelburne Supermaket and Bread & Butter Farm's farmstand. Fresh, hot rounds will also be available at the tortilleria every Wednesday afternoon from 4 to 6 p.m.
Vermont Tortilla's maiden batch is fashioned from yellow dent corn from Adirondack Organic Grains in Essex, N.Y. The Moulaerts — who together hold advanced sustainable agriculture degrees in soil and crop science — nixtamalized and pressed it in Shelburne.